We Are Reinventing Real Estate in Richmond! Liz Moore and Associates is excited to announce that we are expanding our reach to the Richmond market opening an office in Midlothian, Virginia. 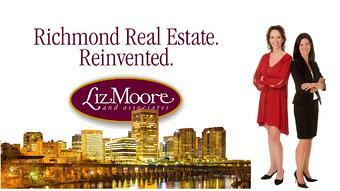 Liz Moore’s first Richmond area office is scheduled to open September 1st. This new office will introduce the Richmond market to the Liz Moore & Associates brand, a real estate company focused on the client experience with client-centered services like pre-listing inspections and appraisals, exceptional customer service, and creative marketing strategies. The Midlothian based office will be led by Tonya Morrow as Richmond Managing Broker. Tonya is recognized as an innovator in Richmond area real estate, bringing with her a successful track record in sales management. Morrow, who recently completed the Richmond Association of REALTORS Leadership Academy, is highly respected by local agents for her creative ideas and results driven coaching. Annemarie Hensley, currently ranked fourth in overall residential resale sales volume in the local market, will serve as the anchor agent for the new office, bringing her team of 5 to the new venture. Liz Moore & Associates was founded in 2003 by President Liz Moore and her partner Brian D. Lytle, with a vision for an enlightened real estate agency where all the greatest agents want to work, and where business is solidly built on enthusiastic referrals and out-of-the box marketing techniques. Liz built the company from the inside out, creating the systems and resources that would allow agents to “wow” clients by delivering exceptional customer service. Liz is very excited to expand and serve the growing Richmond market. To learn more about Liz Moore & Associates, this new Richmond area office, and new team members Tonya Morrow and Annemarie Hensley, please visit www.lizmoore.com/rva or email RVA@lizmoore.com.